Every day we get a great amount of information. And sometimes it is hard to remember everything. We forget our friends’ birthdays, important meetings and other information. Memory plays a giant role in our life. We need to train memory to live better. When you improve your memory, your quality of life is going to improve. It doesn’t mean that you must go to the therapist or buy medicine. No. We are living in the world of hi-tech. All you need is your smartphone. 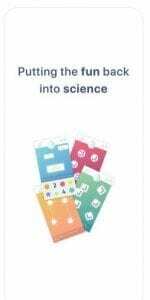 There is a lot of memory improving apps that are developed by scientists to help you to improve it. 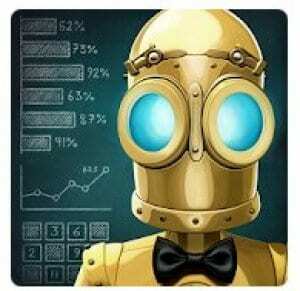 This is the list of memory training apps. You can choose one or try all at once. Have you ever wanted to challenge your memory? Lumosity is here to help you. The app was developed by scientists who used neurological and cognitive methods to create the best app for memory improving. Just solve problems and train your brain capacities. All games are easy and quick but they require enormous focus to solve them. Train memory every day and you’ll see the result after a few days. You can test your brain skills and compare them with other people of your age. 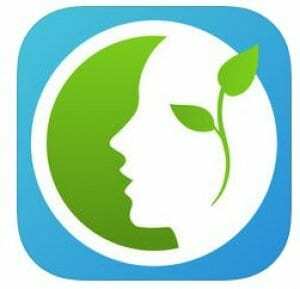 The app creates a personal memory training program. Challenge your mind and find out your cognitive condition. It won’t be boring because creators add new challenges from time to time. 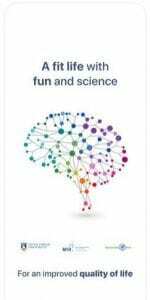 It is puzzle, logic, memory, math and speed games. 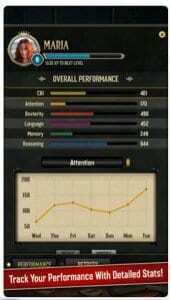 After completing tasks your level will increase and you can analyze the progress. You will find out your advantages and disadvantages. Lumosity: Daily Brain Games has been downloaded more than 90,000,000 times! Challenge your brain power and train it without leaving home! Do you sometimes forget names and words? 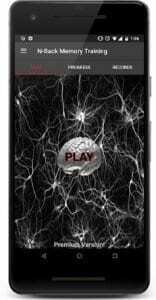 Then try NeuroNation app for brain development. 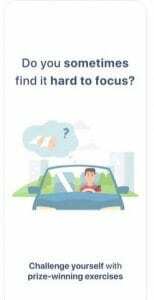 If you have a weak memory or it is difficult for you to concentrate, only 15 minutes per day with this app and you will see the changes. This app helps people to get a remarkable result. It is awarded by a serious scientific center. You won’t bother about a memory development plan because the app can create a personal exercise schedule paying attention to strengths and potentials. It won’t be boring! It has more than 250 levels and a great number of brain games such as memobox, Math blitz color craze and rotator. The effectiveness of the app was proven by scientists and doctors. 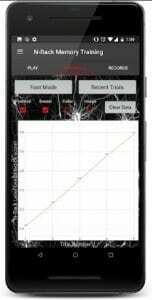 The app was developed by leading researchers. That’s why it has been installed so many people. It really works. The app allows you to train memory with your friends. You can train for a race and then compare the results with your company. Beat the high score and become number one. Improve your memory with NeuroNation! All our skills come from childhood. If you have kids, you should help them to develop their brain activity and memory. This app is exactly for these goals. It is a classical board game to motivate your child to self-improve. It has very cute pictures. Your children won’t be bored! Kids of all ages can play this game and improve their memory. It is easy to play. 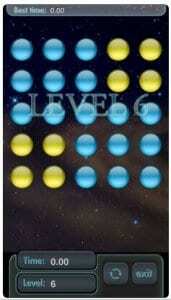 You need to choose the difficulty level and press the squares and memorize the picture on it. Then, button on the next pictures and find matches. The less finger tap you do the better result! The app has 3 levels of difficulty. It can help your child to develop motor skills, concentration, and memory. 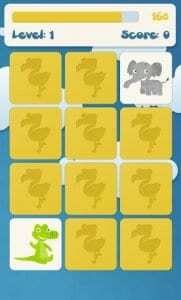 Animals memory game is a funny way of training memory. Simple and intuitive interface won’t confuse children because it was specially developed for them. The app was developed to help people to improve their memory, attention, speaking skills and processing speed. You will get a personal training schedule to develop your skills in the most effective way. The personal schedule is not permanent it can be changed to achieve the best results. 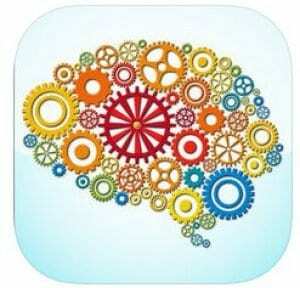 The more you use this app the more you will improve your brain activity. People who train a least 4 times a week have amazing successes. 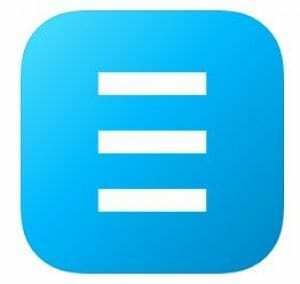 The app helps to increase productivity and memory. 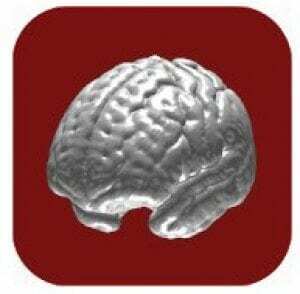 Elevate – Brain Training Games has more than 30 different cognitive games to develop memory. You will always be informed about your progress. That is really important because you will be motivated. The app has a lot of fun. It can really help you to develop your memory and brain activity! Elevate is your personal brain trainer. 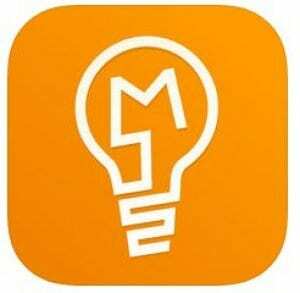 It is another memory training app that is worth to try. It was developed to improve your cognitive abilities. 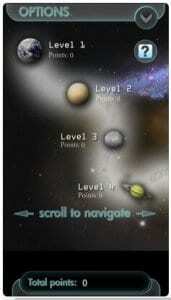 There are a lot of levels with different difficulty. 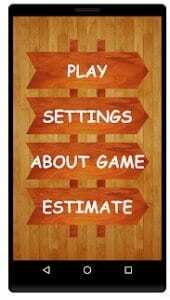 You can improve your short-term memory just playing one level every day. You will remember more information after downloading the app. If you improve your memory, then your other skills such as focus, concentration and problem solving will also improve. Only 10 minutes per day can effectively improve your memory. You will get significant results. It is a perfect memory trainer for you! Our memory is a difficult prosses. 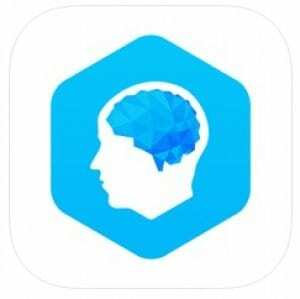 Join millions of people to improve brain abilities with this app. 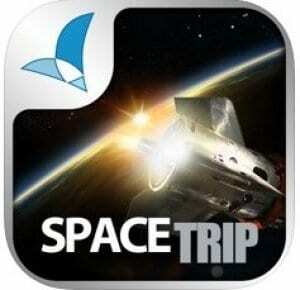 The app was specifically developed to make better your cognitive skills. It won’t take you much time. Only 15 minutes per day and your memory will change! 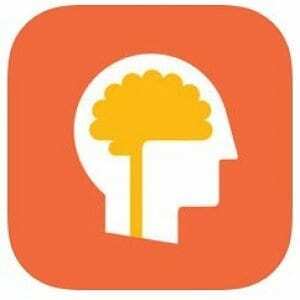 If you have really poor memory this app is exactly for you, It has adaptive difficulty to help you improve the ability to memorize. The design of the app will please you. You won’t train alone because you will have a helper. It is Sprocket. Sprocket is a nice robot. He will help you in the world of brain activity. The app has a lot of different games. It won’t be boring to improve your memory. Besides memory, you can also train attention, language and thinking. You can check your progress to understand changes. 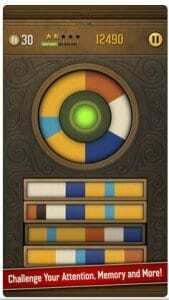 After every level, you will be got a special token to unlock interesting bonus games. 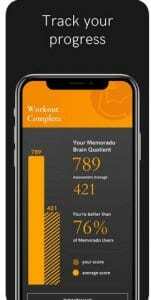 Clockwork Brain Training is your personal memory trainer! Everyone should have a perfect memory. If you don’t have it right now, then try this app and you will see the difference. You will train memory and brain activity and this app can also calm you down and relieve your stress. 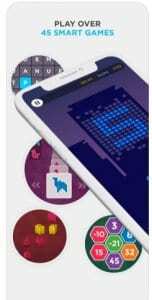 The app consists of 11 puzzles games. You are definitely won’t bored. Only 5 minutes a day and your memory become perfectly strong. The app won’t bother you. 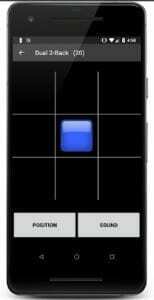 It doesn’t have timer, pressure, distracting noise or bright pictures. It has 10 difficulty levels for every game from beginner to advanced. The graphic of the app is perfect. 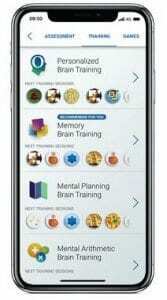 Installed the app on your smartphone and you can train your memory and brain skills! Every day our brain is overstimulated. It has become critical to maintain sharp cognitive skills. That is why you need to try this memory trainer to make your memory stronger. The app was created by scientists. 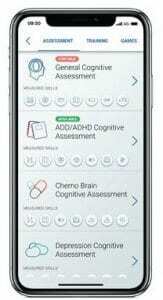 You can evaluate your memory ability at the beginning of using the app and compare a few weeks later. You will see a great difference. The app is a professional brain trainer. But don’t be so serious. CogniFit can help you to improve memory in a fun way. It won’t be boring. 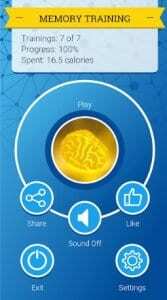 The app can rehabilitate the activity of your brain. You just need to play funny puzzle-games and have fun. You can compare your brain activity with other users all over the world. 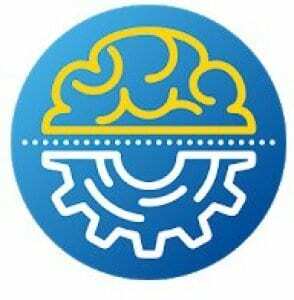 This application can also help you to train wit, logic and thinking. The training techniques are clinically proven. 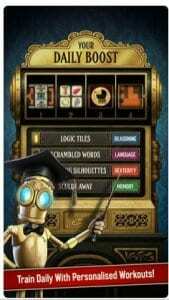 There more than 24 various games to train more than 21 mind skills. The app is so good, that you can see your cognitive evolution. The more you challenge your brain, the more it changes. The app can make you explore the mysterious places in your mind that you think you don’t remember. Just 20 minutes, 3 times a week. It is all it takes! It is another funny and effective app to train your memory. It is full of brain games to challenge you. The app was designed by a famous university and the methods of training were tested. This app has been downloaded more than 10,000,000 times. It has a lot of positive reviews. Just 12 minutes a day and you can challenge memory and essential skills. You will see your improvement because the app has a wonderful progress menu. This app shows a score of evolution. 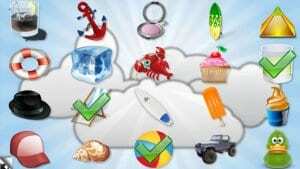 There are a lot of interesting games such as babble bots, word fresh, memory sweep and partial match. You can try everything and improve your memory. Remember, that your brain is unique. You need to develop it in a personal way! It is a perfect way to improve the quality of memory. The rules are easy. 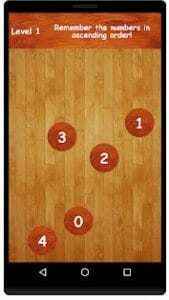 You need to remember various sequences and restore them. It can be letters, words, numbers, plants, animals or figures. You can choose the level of difficulty. There are 3 of them: low, medium and high. You can complete levels by a phased passage. The app has a lot of games. 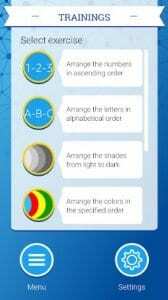 You should arrange the numbers in ascending order or the colors in the specified order. 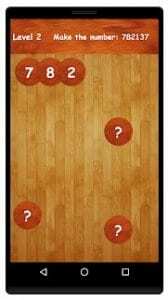 This is a fun app that can give your brain something to do. Only a few levels per day and your memory become better than ever. 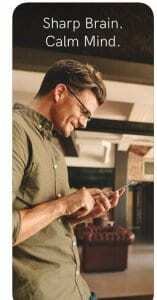 The app may increase memory capacity and IQ. The main purpose of the app is to train your brain. The gameplay is easy but it is really useful. You need to remember the sequence and then restore it. Every subsequent level has a more difficult sequence. The N-Back Memory Training app has a lot of beautiful sounds to remeber. It has also a relaxing effect. You can check your memory improvement looking at the score table. You can change the difficulty of the train. Choose the speed and the number of trials to meke the memory training more difficult. The interface is simple and intuitive. 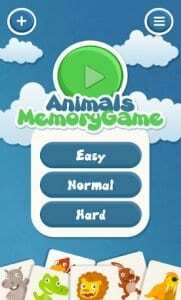 Improving memory and cognitive skills with this app is easy and funny. Every level has its own tutorials. You won’t be confused playing it. After a few days of using your memory will change. 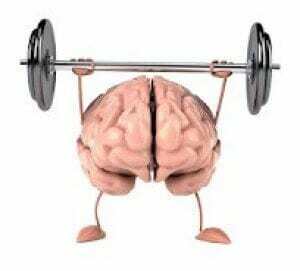 Try an effective brain improving program. The app has been installed more than 12,000,000 times. There are more than 400 levels and 10 games. 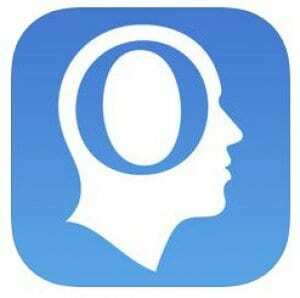 This app is like a charger for your brain and memory capacity. You can watch your progress and compare it with other people. The app has many nice and calming sounds. It can help you to reduce stress. Of course, memory training will be conducted better with wonderful graphics. You won’t need to worry about the schedule. 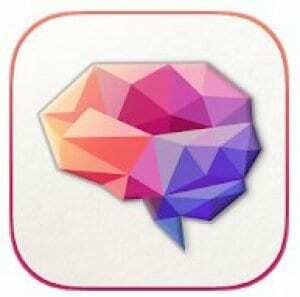 The app creates a personal plan to improve memory and cognitive skills. You will be aware of your strong and weak areas. The app was created with neuroscience. That is why the efficiency of the app is proven. Our bran can quickly learn different things. Our purpose is to help it to do. Memory can be trained like your physical abilities. The app is implemented and beneficial. You can train your memory and cognitive skills with Memorando in the fastest way. Just don’t miss a daily training session and your memory will be perfect! Our brain needs to have a warm-up. The app can help you cheer it up. You need to remember the number in ascending order and then restore this order. Doing this action, again and again, you train your working memory. It has many levels It won’t be boring to play it every day. The app can completely change your life. The graphics are so cozy and relaxing. Don’t forget that your health depends on memory. 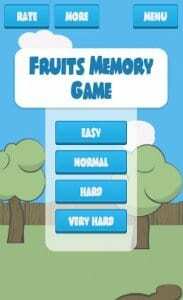 Memory Training is really helpful game to improve your memory and concentration. Increasing the power of memory has never been so easy. Do you like space or galaxies? Then, try this app. You can improve your memory in a cosmic atmosphere. 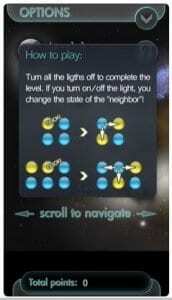 You need to turn off all lights to finish the level. Every level represented by different planets. It is a colorful memory trainer that won’t leave you indifferent. The app is really useful for kids. It won’t be boring for them because they can imagine yourself as an astronaut on a spaceship. The graphics are so real. More than 10 levels are waiting for you! Childhood is a period of active brain development and memory improvement. Parents should pay attention to it. We advise you to download this app. 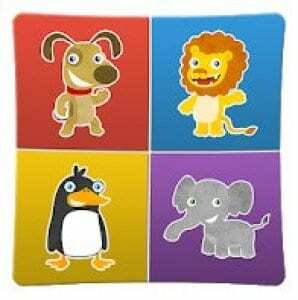 It is a classic game to develop young memory. Kids need to find the same fruits. It is easy and interesting. The images are very beautiful and funny. By training memory, your children can get to know new kinds of fruits. The app was proven by scientists. 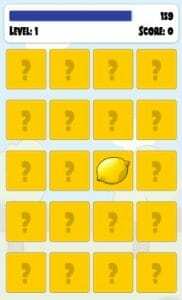 There are a lot of levels with different fruits. Children should tap on squares and find the same pictures. The main purpose is to complete levels pressing as little as possible. There are 3 difficulty levels. The game is so cute. It has a lot of funny sounds. If you don’t like them you can turn them off. 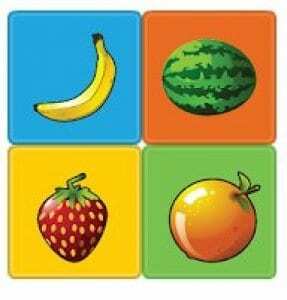 Fruits Memory Game for kids is a perfect way to develop your lovely child!